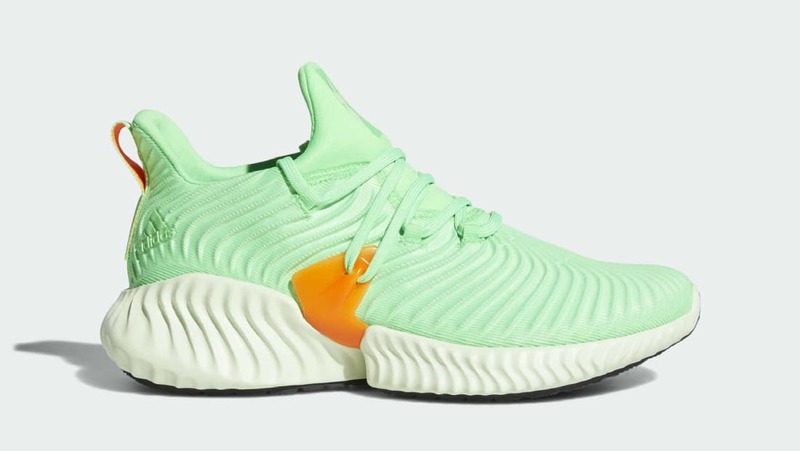 The Adidas AlphaBounce Instinct will release in a bright color scheme consisting of a lime colored upper with hits of orange throughout. This latest iteration of the AlphaBounce line provides design modifications from the original including the wavy pattern on the upper and midsole. Release date is June 9, 2018.